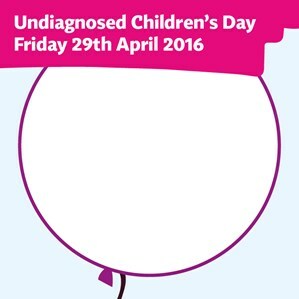 We are excited to launch our social media images for this year’s Undiagnosed Children’s Day on Friday 29 April 2016! 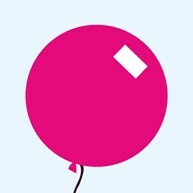 You’ll also see our updated logo for the first time. 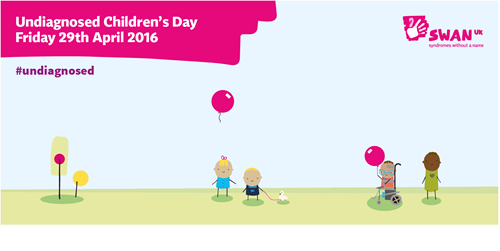 A simple way to get involved without stepping away from your computer is by supporting us online and using social media to help increase awareness of children with undiagnosed genetic conditions. We have some specially designed images that we encourage you to use, it’s really easy to then add these to your social media accounts and share them; It can make a huge impact. All you need to do is right click on the image you want to use below. Click “save image as…” and then save it somewhere easy to find. On your Facebook page you will most likely already have a “cover photo” and a “profile picture” so all you need to do is hover your mouse over your current pictures and click “update”. You will then be able to replace your pictures with the ones below. On Twitter you just need to click “edit profile” and then you will be able to change your pictures in the same way. When you’ve made the changes, why not give us a shout out on Twitter by including our Twitter handle @SWAN_UK or tagging us on Facebook. Don’t forget to follow us and like us on Facebook and retweet us on Twitter too! 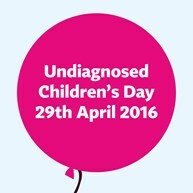 For more information on how to fundraise for Undiagnosed Children’s Day and how we can support you in your challenges please e-mail fundraising@undiagnosed.org.uk. 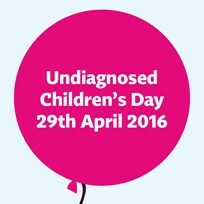 To find out more about Undiagnosed Children’s Day please click here.